Members of The Blue Skies Consortium are celebrating after being awarded a £36,733,500 grant to deliver over 1,000 new homes as part of the Homes and Communities Agency (HCA) Shared Ownership, Affordable Homes Programme over the next five years. Led by Longhurst Group and Nottingham Community Housing Association (NCHA), the Blue Skies Consortium is made up of 13 housing associations from across the East Midlands, and is one of the top 10 developers to receive a share of the £1.28 billion funding pot. In its 11 year history the consortium has consistently performed well in its annual bid for funding from the HCA. 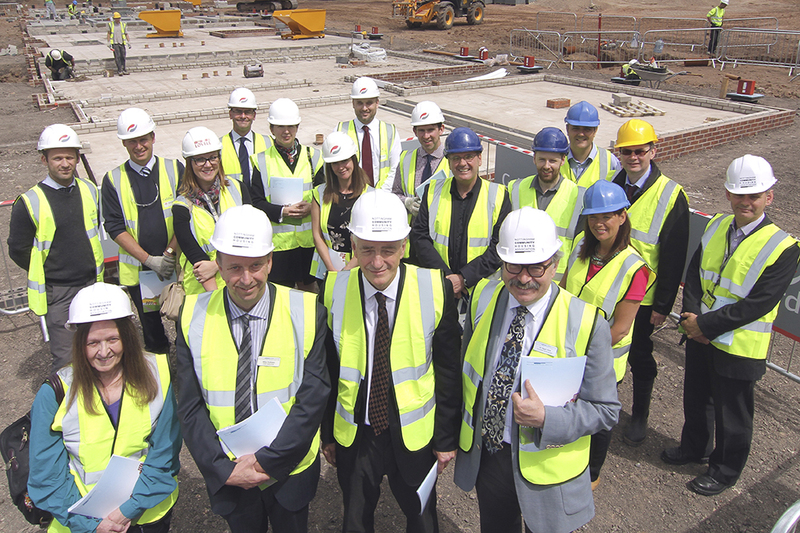 This year will see a programme of 1,133 homes across the East Midlands being built for housing providers including Acis, Axiom, Tun Tum, Lace HA and Boston Mayflower, with NCHA and Longhurst Group receiving the largest allocation of properties. The new homes will be a mixture of affordable housing, shared ownership, rent to buy and supported housing. Ian Jackson, Executive Director of Portfolio Investment for Longhurst Group, said: “This is an excellent result and demonstrates our long-term commitment to providing affordable homes where they are most needed. Allan Fisher, Development Director for NCHA agrees: “We are delighted with the outcome from our application for funding. It’s a real testament to the hard work and vision of our teams, and we’re proud of our successful track record which allows us to continue to develop and build new properties.